I use refill cartridges for my printers. I have refilled them by hand, bought them from 3rd party suppliers and worked hard to not pay $30-$45 for the HP or branded refills. I hate the high price model of getting ink for my printers. It reinforces me to push to an all digital life. But sometimes you just gotta print. The printer manufacturers, I’m talking about you HP, have been making money hand over fist by giving away the printer and charging huge amount for ink. Ink is no longer a technological marvel and is very cheap to make. But they have been living off these profits for so long that they put their most innovative resources on it. Why and how? They insert a chip into every cartridge that looks and marries it to the printer you own stopping your printing dead. Their excuse is that they are helping you. Helping you to not run out of ink (what?) Helping you to keep you from missing letters and from having faded and hard to read documents. They tell you it is not safe to refill your own cartridge. It might leak over the inside of your printer. 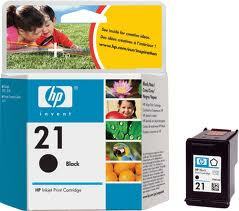 It is inferior ink and may damage your printer. They put a lot of time, algorithms and money to prevent you from having a bad experience. They save you from yourself. It’s just a coincidence that their profits are huge by doing this. It’s for the betterment of all users. Enough snarkiness. Check out Monoprice for ink, they’re not just for cables. They cost about 25% of the brand name.